Traditionally, windows were all built as single-hung. That meant that only the bottom sash could be opened, and it could usually only be opened straight up. The construction made it very difficult to clean the windows since the bottom sash would cover the top when it was opened. The only way to clean the outside of second-story windows from the inside was to open the bottom sash. The latest window technology includes double-hung windows. Both sashes on the window can open up and down, and usually, both sashes can swing or tilt open. This construction makes it a breeze to clean windows on the inside and out, no matter what floor they are on. The vinyl windows of today have exceptional energy efficiency, helping your home to regulate the internal temperature and to consume fewer natural resources. The windows accomplish this through the incorporation of double panes of glass (or sometimes triple panes). Pockets of air or gas are inserted between the panes to provide insulation. With vinyl windows, you will spend a lot less on heating and cooling costs throughout the year. By the time you are ready to replace your windows again (in 50 years or more), you will have saved thousands of dollars. Just like you can tint the windows on your car, you can tint the windows on your home. The tinting can work like the tinting on your eyeglasses, where it becomes darker during the day and lighter at night. Your view will remain moderate throughout the day. Other tints and films can reduce the glare on your windows or improve their energy efficiency. 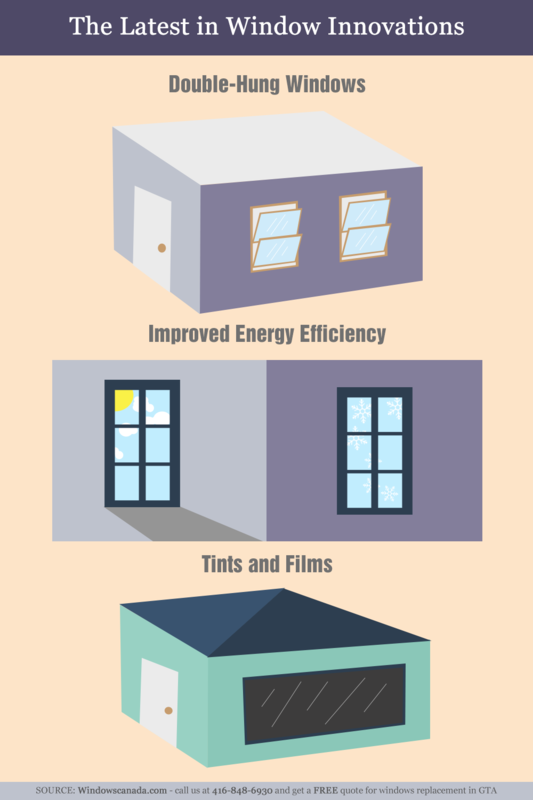 When combined with vinyl windows, films can make your home a lean energy consumer. If you are ready to replace the windows on your Oakville home, you should look into the latest window innovations to make sure you are getting the very best for your home. By choosing the latest advances, you'll protect your home and insure that the technology does not become too dated by the time you have to replace the windows. Click here to find the best choice of Oakville windows and the best bargains.